I've been in tornadoes. I didn't like it. I haven't been through an earthquake. Don't want to. I've been in blizzards. Really didn't like that. I've been snowed in for a month at a time. Cabin fever is the least of your worries. I've been in floods. I don't like swimming. But I really don't like hurricanes. Andrew, Frances, Jeanne, Irene, Matthew, Wilma plus a different number of Tropical Storms. I really don't want to add Irma to the list. Now as of the most recent tracking forecast, it's supposed to be going up the west coast of Florida. Don't you dare trust those insidious beasts. 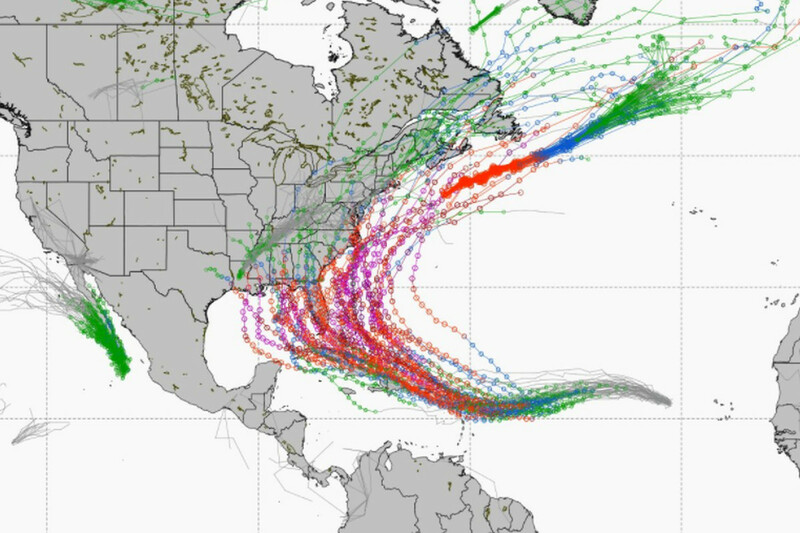 Hurricanes do whatever they want. So what do you do? Remember that God already knew this was going to happen and has already prepared for your need. Isaiah 58:11 And the Lord will guide you continually and satisfy your desire in scorched places and make your bones strong; and you shall be like a watered garden, like a spring of water, whose waters do not fail. Remember that God is in control. Psalm 46:1 God is our refuge and strength, a very present help in trouble. But why do I have to go through this? A - If you live in Florida, this comes with the territory. B - Matthew 5:45 ... For he makes his sun rise on the evil and on the good, and sends rain on the just and on the unjust. As followers of Jesus, we are not exempt from life (or hurricanes), but we do have a plan through it.